1. 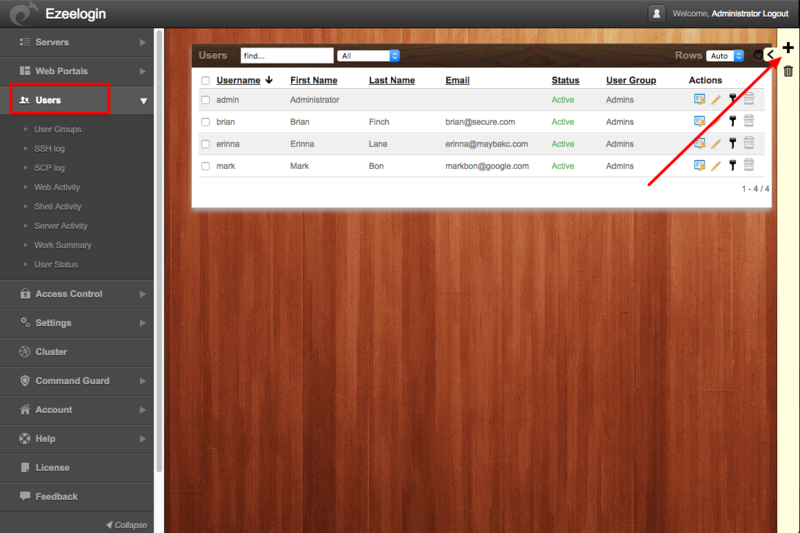 Select User tab in ezeelogin webgui & click user add on the right. You can view the user added in Users tab. Please refer the following url to add Usergroup in ezeelogin. 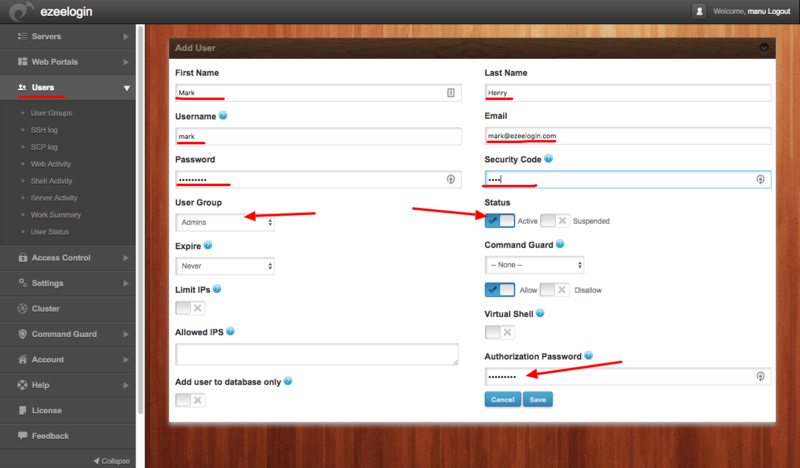 How to add User group in ezeelogin ? Create more admin users in jump server? Posted - Tue, Sep 18, 2018 at 6:32 AM. This article has been viewed 530 times.